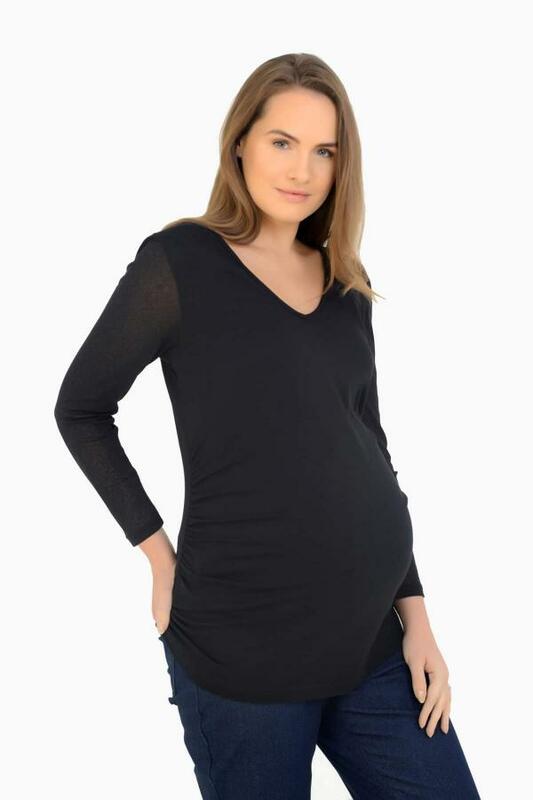 Get yourself ready with our new black sheer sleeved maternity top. Designed with side ruching to proudly show your beautiful bump, a deep v-neck cut and a patterned sheer sleeve, this top will look beautiful whatever the occasion. Try it with a pair of new Straight Leg Stretch Maternity Jeans for a stylish look. A soft black maternity top with a sheer mesh sleeve ideal for any occasion.